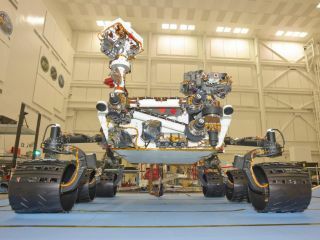 NASA's Curiosity rover is shown here during final testing at the Jet Propulsion Laboratory. It will be shipped to its Florida launch site in late June 2011. NASA's Mars rover Curiosity, also called the Mars Science Laboratory, is the largest rover ever sent to Mars. See how the Curiosity rover works in this SPACE.com infographic.